Traditional, pre-cut rain gutter systems can not only be a source of aggravation for homeowners in Des Moines, Iowa, and surrounding locations, but they can also cause damage to your home. That’s because the seams inherent to pre-cut gutter systems are perfect places for debris such as leaves, twigs, and acorns to build up and cause a blockage. When water is blocked from flowing through your rain gutter, the added weight can rip your gutters away from your home, causing damage to your roofline. Any water that overflows or spills can also cause water damage. 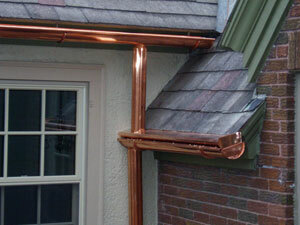 To solve these problems, Waddle Exteriors is proud to offer our seamless rain gutter system. Without problematic seams for debris to get caught in, seamless gutters allow for the unobstructed flow of water through the system, minimizing the chance for obstructions. What’s more, our seamless gutter systems can increase the curb appeal of your home in Des Moines, IA, or another nearby community. Waddle Exteriors has the expertise and technology needed to custom cut our rain gutter systems on site to the exact dimensions of your home, making for a more unified and streamlined appearance. Also, since our seamless gutters are available in a wide variety of different colors and materials, you’ll be sure to find a combination that matches the aesthetics of your home. An exclusive “valley diverted design” that directs the increased flow of water down a roof valley into your gutters, instead of off your roof. So, if you’re interested in having a new rain gutter and gutter protection system installed on your home in Des Moines, IA, or another nearby area, contact Waddle Exteriors today. Don’t forget to ask about our 100 percent satisfaction guarantee!